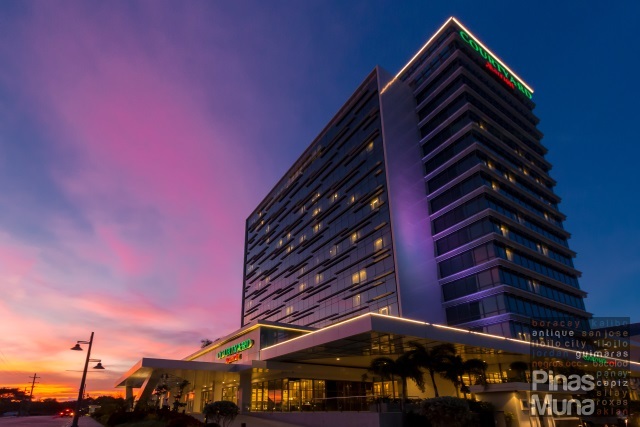 Seda Nuvali is a 150-room urban lifestyle hotel in Sta. Rosa City, Laguna province. 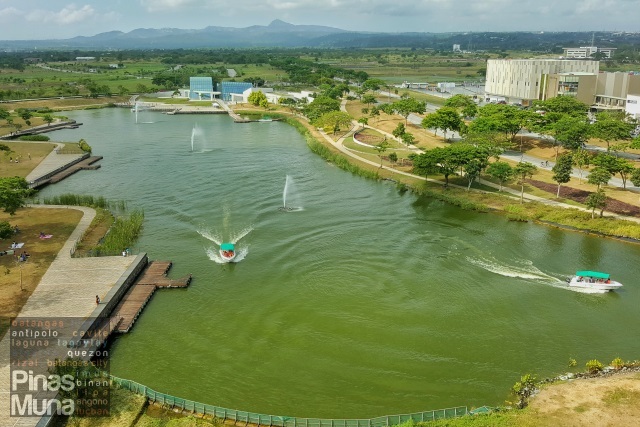 The hotel is situated at Lakeside Evozone, the commercial and business district of Nuvali, which houses several retail outlets and restaurants. It is adjacent to the 4-hectare man-made lake which functions as water reservoir and rainwater catchment basin. A number of outdoor leisure activities can also be enjoyed at Lakeside Evozone including jogging and biking as well as a water taxi ride. Collocated within Lakeside Evozone are BPO buildings that cater to international customer solutions providers, making the city of Sta. Rosa as one of the top outsourcing destinations in the world for 2016, ranking 81st out of 100 cities around the world, and 4th within the Philippines after Metro Manila, Cebu and Davao, according to a report published by Tholons. 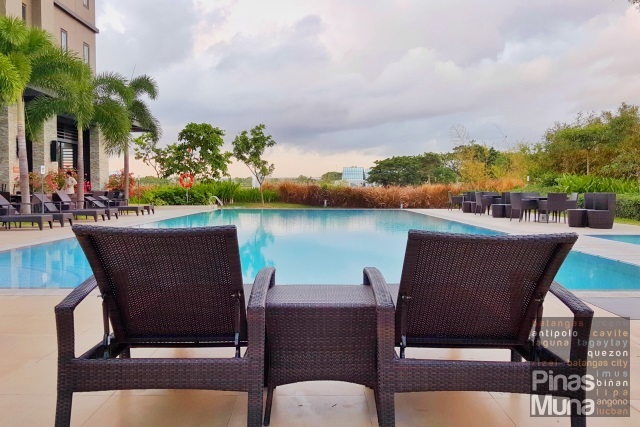 Seda Nuvali is ideal for business travelers who are in short- or long-term assignment in Nuvali and other nearby special economic zones and industrial parks in Santa Rosa, Laguna such as Laguna Technopark, Greenfield Automotive Park, Toyota Special Economic Zone, to name a few. 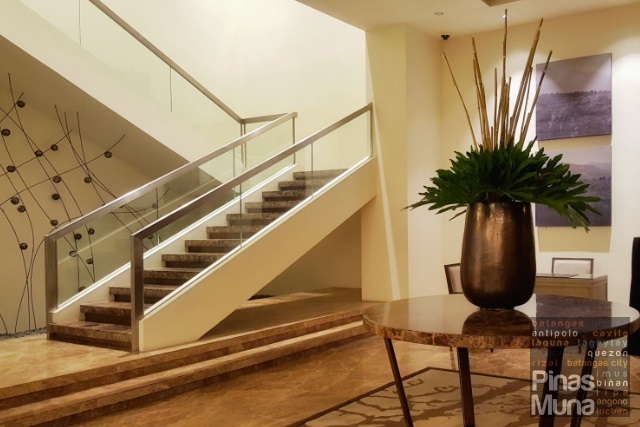 The hotel is accessible from the Ninoy Aquino International Airport (NAIA) through an hour's drive via the Skyway and SLEX. 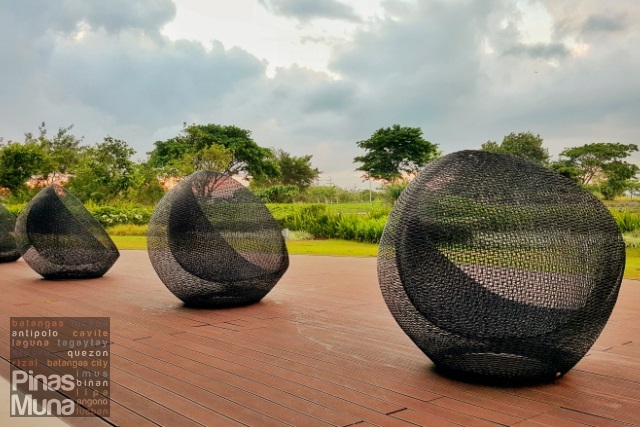 Seda Nuvali is also ideal for families and friends who wish to have a quick vacation away from the busy and congested streets of Metro Manila, yet near the conveniences of modern city lifestyle. Residents of Sta. 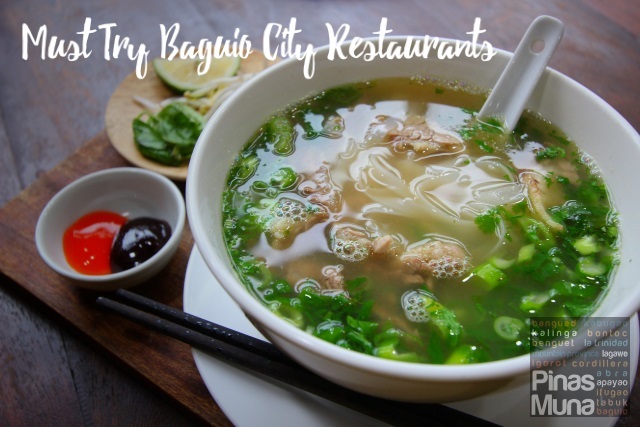 Rosa and other nearby cities and towns need not to travel all the way to Metro Manila just to experience world-class hospitality through staycations in a resort-like environment. 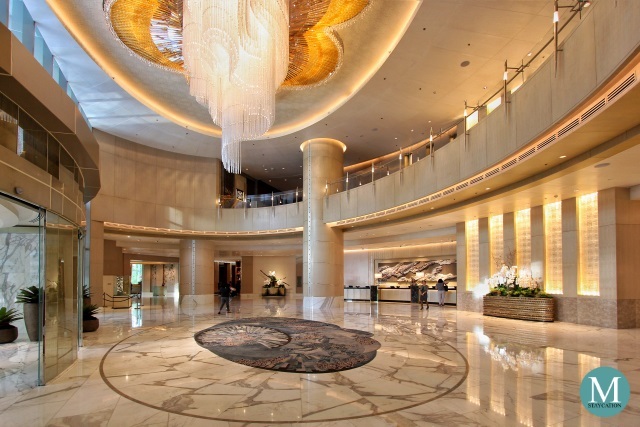 Entering the lobby, guests are welcomed by the signature Seda Hotels scent that elevates the elegant feel of the lobby's interior. The floor is generously covered with marbles while carefully selected furniture and accent pieces added a touch of luxury to the space. An e-lounge features iMacs stations where guests can surf the Internet. Highspeed WiFi Internet access is also available throughout the hotel. Seda Nuvali has three room categories. The Deluxe Room (30 sqm) is available in a king bed or twin bed configuration, It is furnished with two bedside desks, a writing desk and a chair, a large window seat, a minibar, a luggage rack, a wardrobe cabinet, and a private bathroom. The bed features a thick mattress made extra comfortable by a mattress topper. The bed has excellent back support while the topper adjusts to the contours of the body. Plush pillows also provide great support to the neck. The bed is covered with high threadcount linen which is soft and gentle to the skin while the duvet keeps you warm under the sheets. 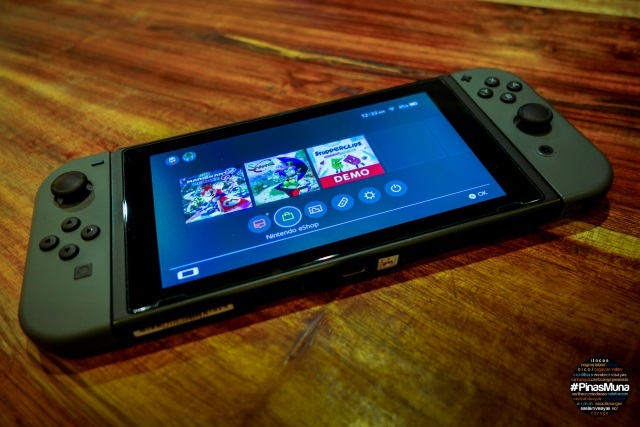 Deluxe Rooms are also equipped with a 40-inch LED HDTV with cable channels, media panel with HDMI, USB and audio-visual connectivity. There's also coffee and tea making facilities, an in-room safe, and complimentary Wi-Fi and broadband internet access. The IDD phone has an iPod dock with alarm clock, voice mail and radio features. The spacious private bathroom features a walk-in shower with hot and cold water. Water pressure is excellent and water temperature is easy to regulate. Clean towels are provided. If you prefer a toilet installed with a bidet, make sure you specify it when you book your room. Eco Bliss branded toiletries exclusively made for Seda Hotels are provided including shampoo, conditioner, body wash and body lotion, as well as dental kits. Club Room is the next higher room category which are basically similar to Deluxe Rooms in terms of room design and amenities. Guests staying in a Club Room enjoy a a range of exclusive privileges at the Club Lounge. The Premier Room is the highest room category with a total floor area of 37 sqm. In addition to the standard room amenities, Premier Rooms are also equipped with a kitchenette and a bathtub. Guests staying in Premier Rooms also enjoy the exclusive access to the Club Lounge. Guests requiring more space can book a Premier Room with a connecting Deluxe or Club Room. 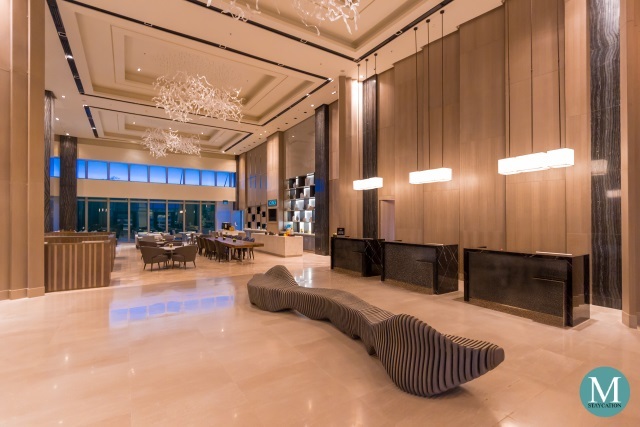 The Club Lounge is located at the 9th floor of the hotel where guests enjoy more personalized service and attention. Exclusive benefits include daily Continental breakfast, all-day refreshments and cocktails, free use of iMac stations, work tables, reading materials, a wide-screen LED HDTV with cable channels and secretarial assistance. 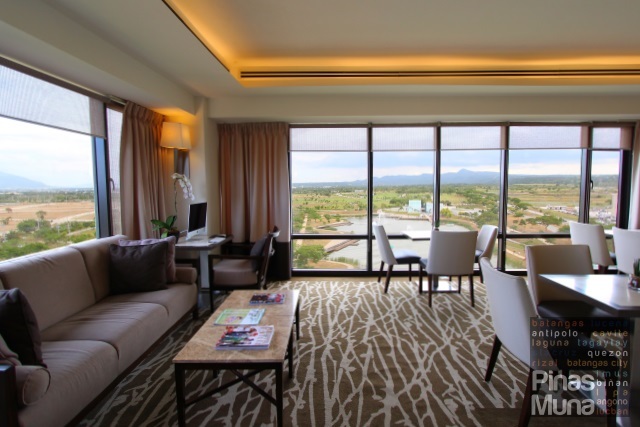 One of the highlights of the Club Lounge is the panoramic view of the whole Nuvali complex. We spent most of our afternoon here, enjoying the free-flowing coffee, tea and non-alcoholic beverages. We were able to write a couple of blog posts using the iMac station. The wide open spaces and the view really helped me a lot to be more creative with ideas just kept pouring in. I find the Club Lounge also ideal for small meetings, brainstorming and just an afternoon chitchat with friends. Surrounding the hotel are wide open spaces that connects to the landscape of the gardens and the lake. There's a spot facing the lake where guests can lounge to enjoy the morning sun. The area is also ideal for morning yoga. A morning swim is a great idea to waken the body. The swimming pool is surrounded by lush gardens and palm trees that evoke a resort-feel to the guests. 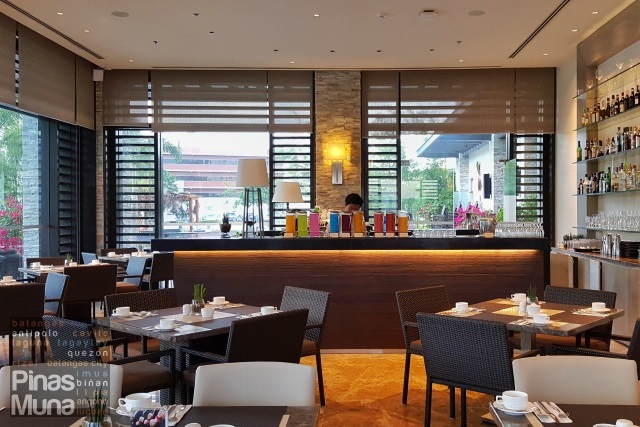 After all the morning workout, it is time to replenish the body with a sumptuous breakfast at Misto, the all-day dining restaurant of Seda Nuvali located on the ground floor of the hotel. 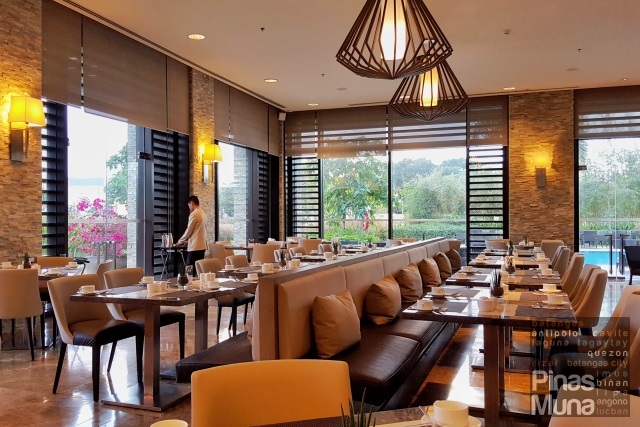 An overnight stay at Seda Nuvali includes complimentary breakfast buffet for two persons. The spread includes a wide array of international and local dishes. 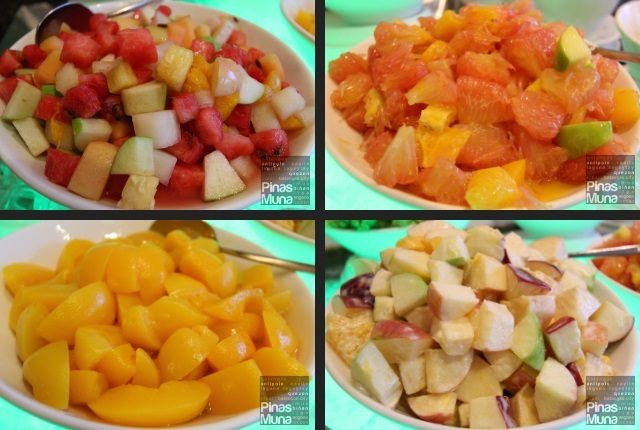 There's salad, fresh fruits, freshly baked breads and pastries, assorted cheeses and cold cuts. There's a section for fried items such as hot dogs, sausages, potatoes, and dried fish. 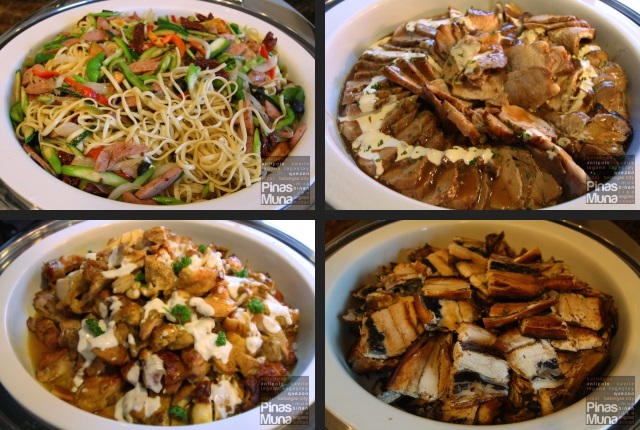 The mains section includes a variety of international dishes including pasta, roasted pork, cardamom chicken, and daing na bangus and buttered vegetables. 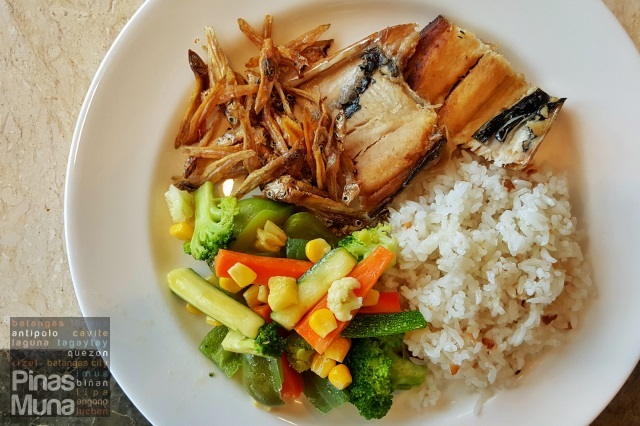 Here are some of the dishes we tried during breakfast: garlic rice with daing na bangus, fried dilis and buttered vegetables. 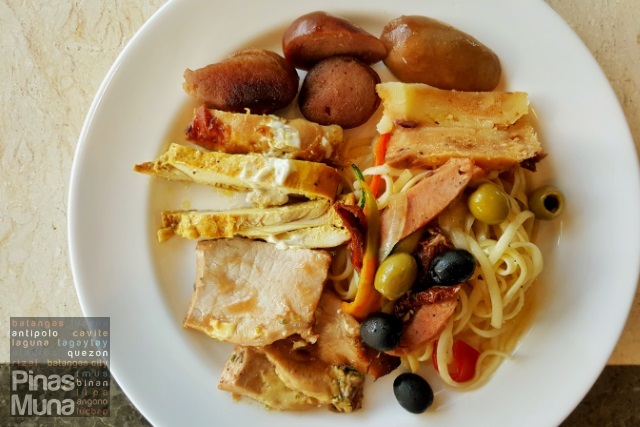 Aglio Olio pasta, roasted pork with gravy, cardamom chicken, sausages, olives and cheeses. Drinks are also included in the buffet. There's brewed coffee, tea and a variety of chilled fruit juices. Service at Misto was excellent. We were offered coffee or tea as soon as we were seated. Our glass is always refilled with water without having to ask. Used plates were immediately cleared from our table. Breakfast is available from 6:00am to 10:00am. 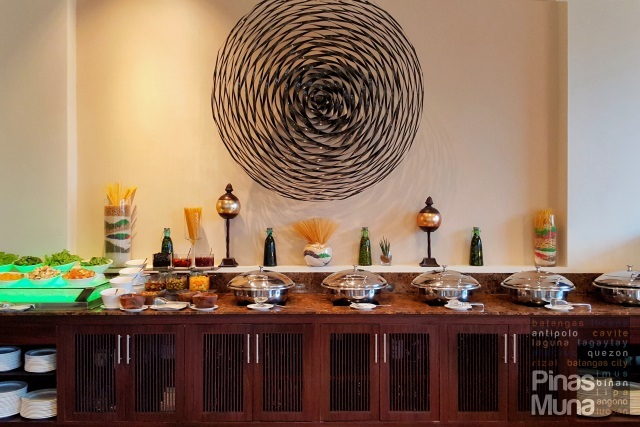 Walk-in guests can also avail of the buffet breakfast for only P824.25 nett per person. Overall, we enjoyed our weekend stay at Seda Nuvali. The service was world-class, the amenities are at par with or even better than first class and business hotels in Metro Manila. Their bed is one of the most comfortable and most relaxing we have experienced.